Front leg swollen joints on russian tortoise. Hi. 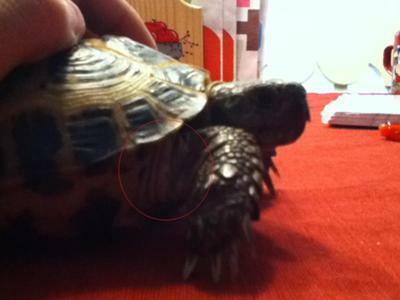 I noticed today on my russian tortoise that the front legs joints are swollen and puffy. Its like where the armpit is on the front legs and when I felt it, it felt hard and it felt like i rubbed a vein inside. please help! Im sorry about the pictures. It was hard to keep the little guy still. It may look normal but i really havent noticed it until now. Please let me know if its normal! Comments for Front leg swollen joints on russian tortoise. Thanks alot. I have now been feeding him on Mondays and Fridays because I took him to the vet a couple of weeks ago about craters in his shell and the vet said I was over feeding him. It's perfectly normal, how much are you feeding him and how often?